Samsung’s new low-cost phone is aimed at the XR, but how does it measure up? Apple might be struggling to sell the iPhone XR, but that’s not stopping Samsung from using a similar strategy with the launch of the new Galaxy S10 line. Alongside the usual regular and plus models, Samsung has also released the S10e, which takes—nay rips out—a page from Apple’s playbook. As with everything Apple and Samsung, the two phones are not created equal. They may both have the same $750 price tag and premium sensibilities, but the S10e plays by a different set of rules, for better and worse. The biggest difference between the iPhone XR and XS is obviously the display. Where the XS has a brilliant HDR OLED display, the XR has a 179x828 LCD screen with a just-enough-to-be-Retina 326 ppi. The S10e, on the other hand, doesn’t skimp nearly as much on the display. Like the S10, it also has an OLED display, though with fewer pixels: it’s only full HD (1080) versus quad HD (1440) on the S10 and S10+. But it’s still a whole lot better than the XR’s, liquid retina and all. 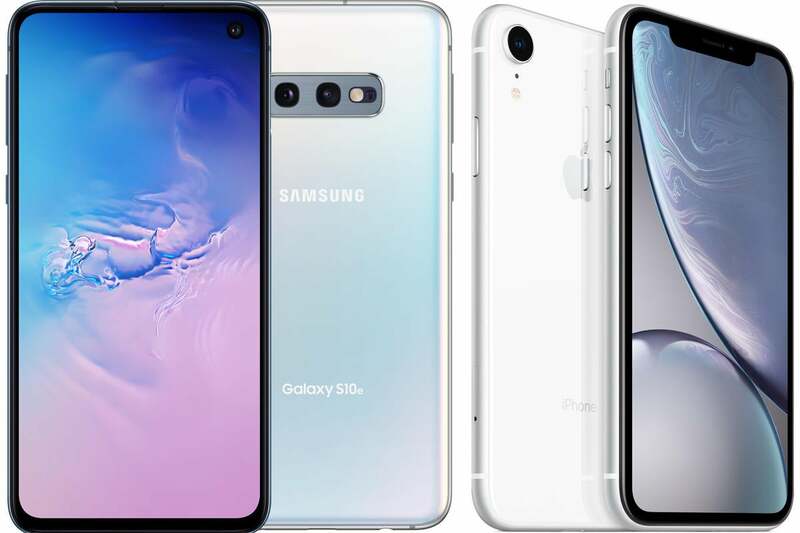 The Samsung Galaxy S10e has a dual camera while the XR only has one. 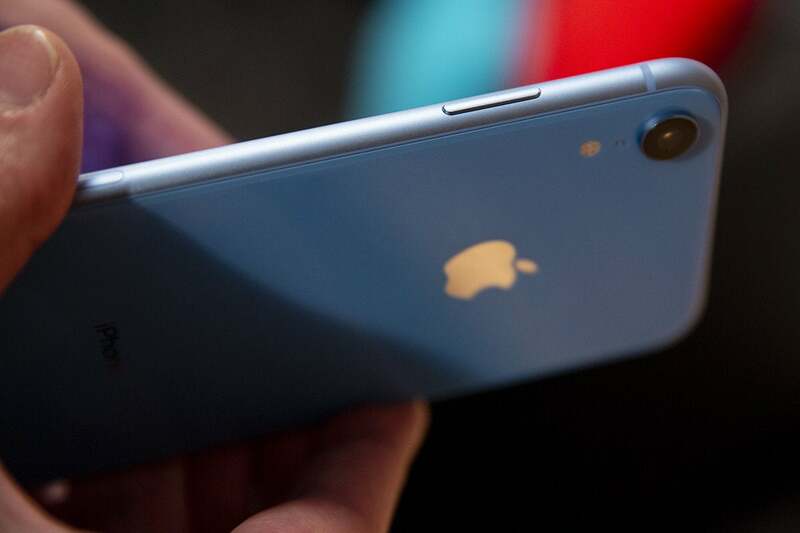 Aside from the screen, Apple also downgraded the camera on the XR, opting for a single 12 megapixel wide-angle lens rather than the dual 12 megapixel wide-angle and telephoto array on the XS. 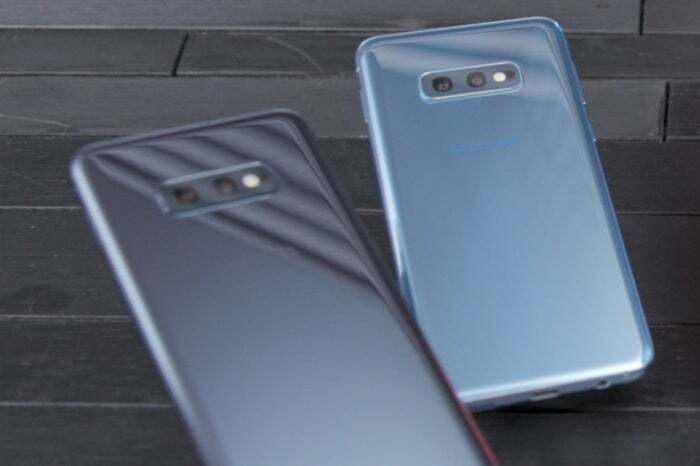 Samsung, too, has put a lesser-quality camera in the S10e, but that’s only because its larger phones have three cameras. The S10e pair a 16 megapixel wltra-wide lens with a 12 megapixel wide-angle lens for true portraits, along with 4K selfies, super steady video, and super slo-mo. 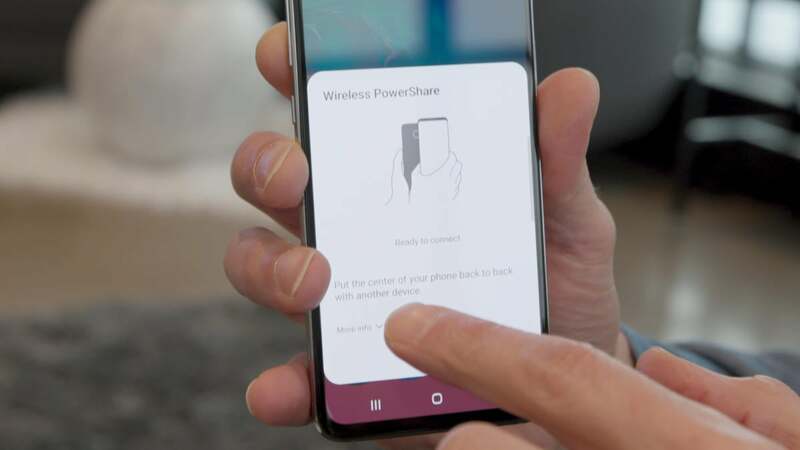 One of the S10’s premier features is called Wireless PowerShare, which lets you charge another phone using the back of the S10 as a wireless charging pad. The XR has wireless charging too so it can borrow some juice from the S10e—but it can’t return the favor. You can turn your Galaxy S10e into a wireless charger with a tap. Apple thankfully stopped forcing us to make do with 16GB of space years ago, and the entry-level XR has a respectable 64GB of storage, with an extra $50 getting you all the way up to 128GB of storage. Samsung offers 128GB in the cheapest S10e configuration, along with a slot for an SD card. The S10 and S10+ have a next-generation ultrasonic fingerprint sensor that uses sound to read the ridge patterns, but you won’t find it on the S10e. Instead, Samsung’s newest phone has a fingerprint sensor built into the side power button, a dubious innovation we thought was long gone. And none of Samsung’s phones have a way to emulate Face ID, which is built into the XR’s notch. The iPhone XR’s notch is better than a hole in the screen. The iPhone XR picked up a lot of criticism for its bezels, which are mere millimeters thicker than the iPhone XS and symmetrical all around, but the Galaxy S10e has thick side bezels and a giant forehead and chin, not to mention a giant hole in the screen for the camera. What was that Samsung fans were saying about the notch? The S10e may be just a buck more expensive than the iPhone XR, but Apple and Samsung have different definitions of value. For example, the 6.4-inch S10+ with 128GB of storage starts costs a thousand bucks, $100 less than the 6.5-inch XS Max with half the storage. Put it another way: The cheapest S10e actually costs $30 more than the cheapest S9 did when it launched. Granted, you get a dual camera here and twice as much storage, but customers might not notice all that. With the iPhone XR, Apple is offering a real savings over the XS, but with the S10e, it’s not so clear. The Galaxy S10e isn’t such a great value compared to the S10. 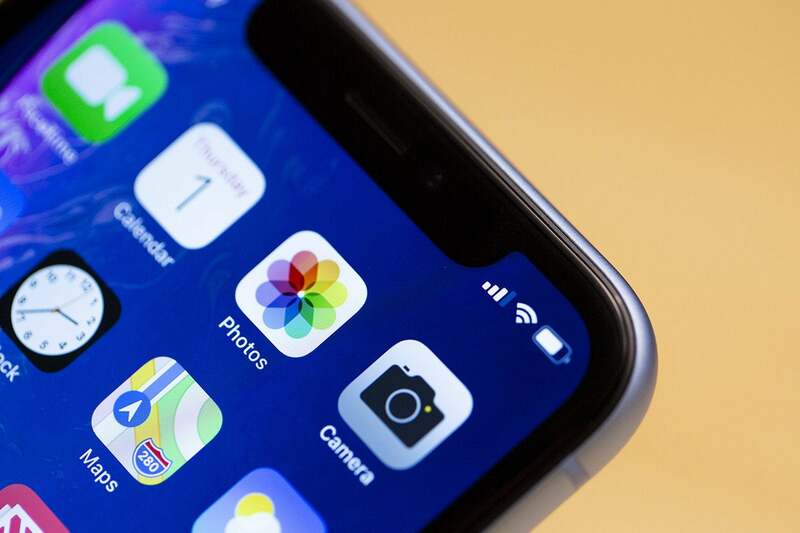 The iPhone XR’s best feature is its battery life, which can easily power through a day of streaming and surfing despite its relatively small 2,942 mAh battery. The S10e has a larger battery than the XR—3,100 mAh—but based on past Galaxy performance, that might not get you through a full day of heavy use. With the XR, Apple sacrificed screen quality for better battery life on the XR, but that might not be the case with the S10e.